said in a tweet through his website in Twitter , "The departure of the deputies of the coalition building is to achieve understanding and agreement with the blocs on the candidates for the President and Vice-Speaker of Parliament, and also to trade within the constructive coalition and everything that makes the opposite of the health." The Iraqi Council of Representatives on Monday morning, September 3, 2018, the first session of the fourth session, which is scheduled to name a new speaker of parliament and the announcement of the largest parliamentary bloc that will form the government. 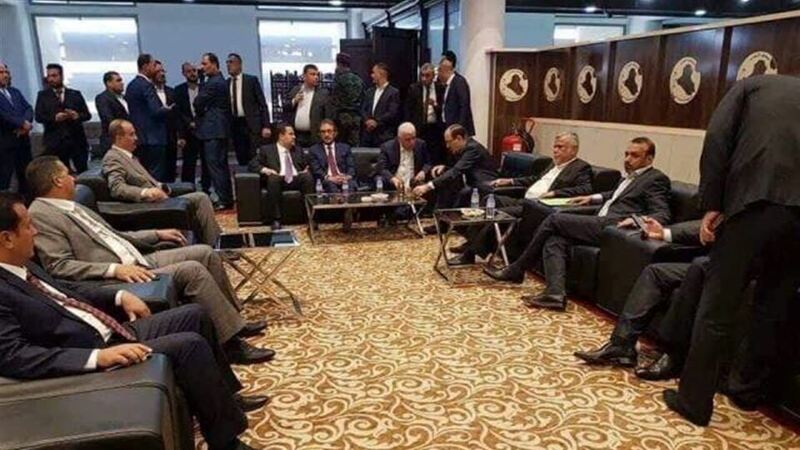 The center of the "victory - the turnout" led by Haider Abadi, which also includes Sadr and Hakim had announced on Sunday night, the gathering of 177 deputies to form the largest bloc, while the axis of "conquest - the rule of law" led by Hadi al-Amiri and Nuri al-Maliki, And collected 145 deputies to form the largest bloc.